Lock in a great price for Crystal Bay Beach Resort – rated 8 by recent guests! Great location and beautiful beach! We enjoyed the snorkeling and view! 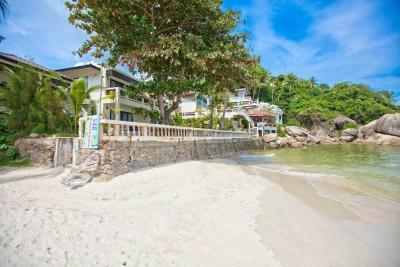 Location is nestled with the small but beautiful beach. You will feel like it’s a private beach. 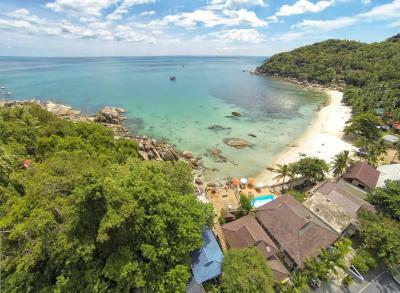 Stayed here for two nights just to discover Silver Beach as it looked so tempting. Location is amazing, literally on the beach itself. Pretty quiet place in comparison to Chaweng though by the middle of the day the beach was getting more busy. Purpose of my stay was to spend most of the time on the beach therefore did not book a room with the view, but for those seeking for relaxation and the views - please make sure to book sea view as the room itself on the basement does not make you feel spending time in there and is not attractive at all. I was very fine with that as mostly used it only to sleep over. Breakfast was very simple but worth the value you pay for such a low rate. There were few sun beds available with the direct sea view. It was truly relaxing laying down there and nothing was too much of trouble. 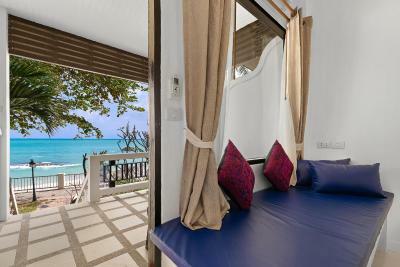 Located at one of the best beaches in Koh Samui. Great for snorkeling, swimming, etc. 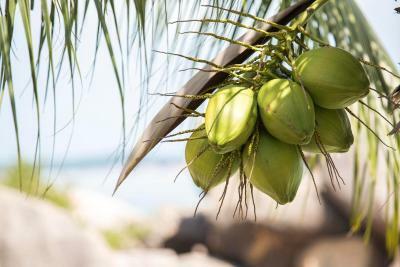 If you are looking for a beautiful beach and relaxation for your vacation, this is the right place! 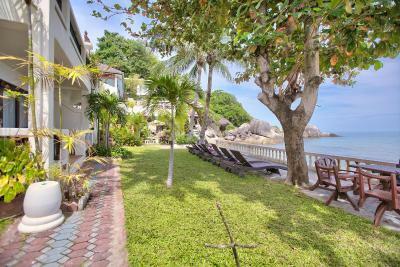 The hotel is situated right on the beach that has all the basic services (some restaurants and massage places), there are some restaurants on the road just behind the hotel and you can reach other parts of island by “songthaew” (shared bus/taxi). 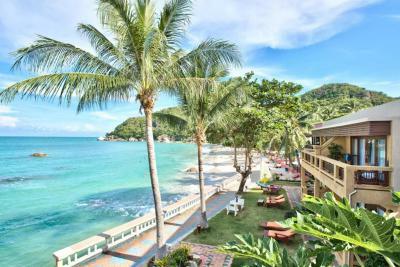 The hotel was very clean, the staff very helpful and friendly and the beach is just gorgeous. We would definitely go back! 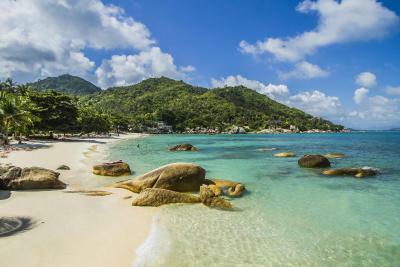 Best beach in Thailand hands down and we have seen a LOT. Small hotel and charming. Staff helpful. Good value for money. 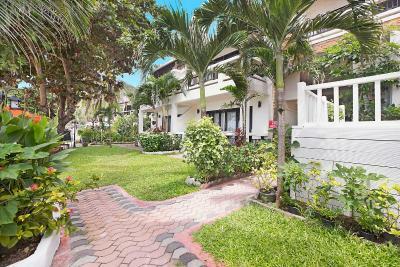 Crystal Bay Beach Resort This rating is a reflection of how the property compares to the industry standard when it comes to price, facilities and services available. It's based on a self-evaluation by the property. Use this rating to help choose your stay! One of our best sellers in Lamai! 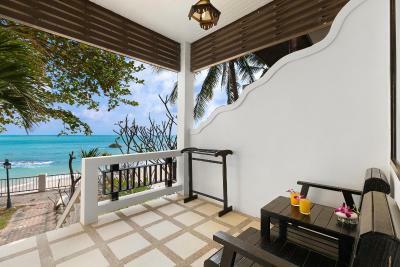 Located on the peaceful white sands of Thong Takien Bay, Crystal Bay Resort offers air-conditioned rooms with private bathrooms and tropical or sea views. It has an outdoor pool and a restaurant overlooking the bay. 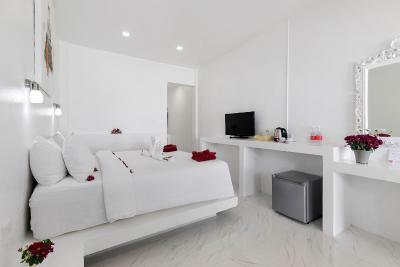 Free Wi-Fi, a cable TV and a mini-bar are standard in all rooms. 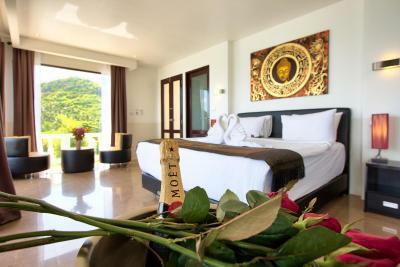 They are fitted with tea and coffee making facilities and a private bathroom with toiletries. 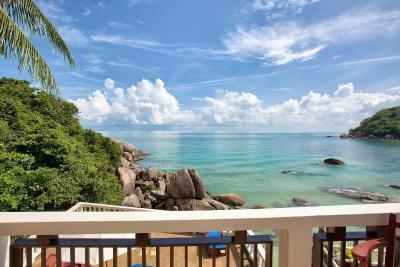 Crystal Bay Resort is located between the lively beaches of Chaweng and Lamai. 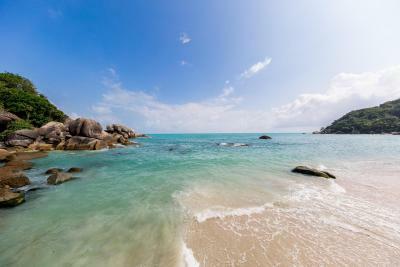 It is 1.2 mi from Samui’s center and 6.8 mi from Samui Airport. 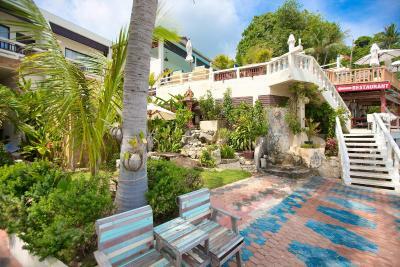 Lazy afternoons can be spent by the outdoor pool or in clear waters snorkeling and diving. 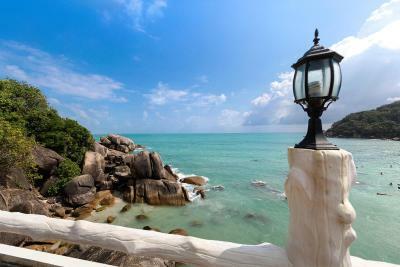 Explore Samui easily with the tour, motorbike and car rental services available. 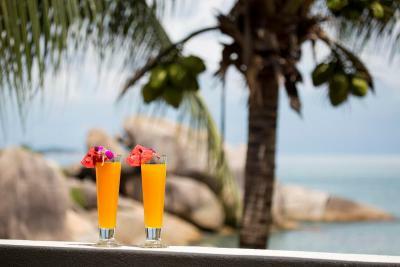 Boasting sweeping sea views, Crystal Bay Restaurant offers varied menus with Thai, seafood, international and vegetarian options. 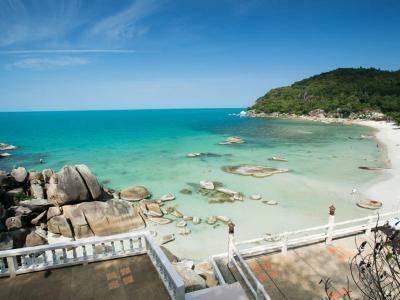 Thong Takian is a great choice for travelers interested in scenery, tranquillity and relaxation. 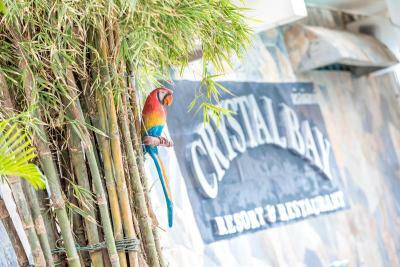 When would you like to stay at Crystal Bay Beach Resort? 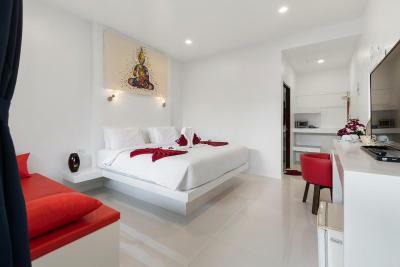 This air-conditioned room comes with free Wi-Fi, a cable TV and private bathroom. 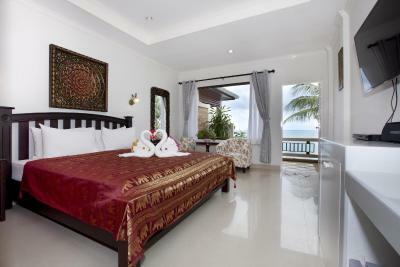 Please note that this room type has no capacity to accommodate extra beds nor a children's crib. 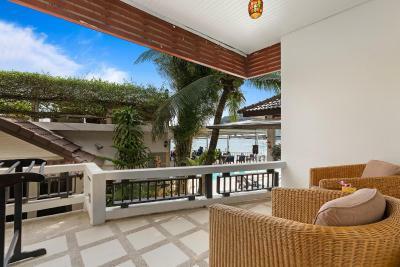 Featuring a private balcony with sea views, this air-conditioned room offers a comfy sitting area, modern interiors and free Wi-Fi. This air-conditioned room comes with free WiFi and a cable TV. Featuring panoramic views of Crystal Bay, this spacious room offers modern Thai-style interiors, free Wi-Fi and a private balcony. Well appointed room features sea views. 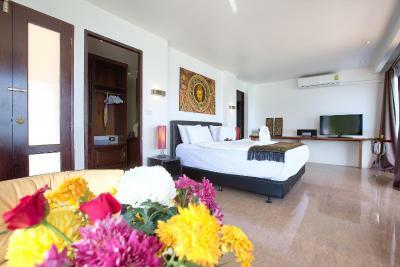 This air-conditioned room comes with free WiFi, a private balcony and a cable TV. In the garden area, this room has a private terrace, electric kettle and cable TV. 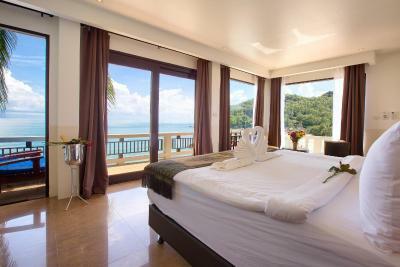 This beachfront room has a balcony, satellite TV and minibar. 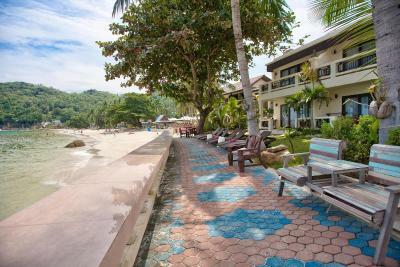 Crystal Bay Beach Resort has simply the best location of any resort on the island. 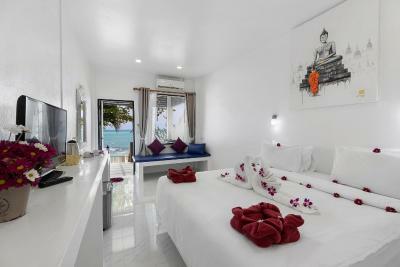 Situated at the most beautiful end of Koh Samui's best beach overlooking the crystal clear water and powder white sand. 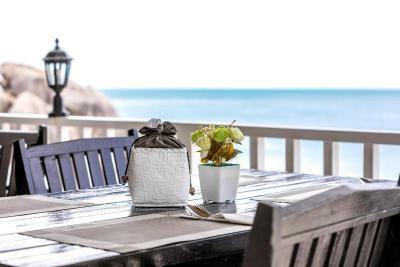 House Rules Crystal Bay Beach Resort takes special requests – add in the next step! Crystal Bay Beach Resort accepts these cards and reserves the right to temporarily hold an amount prior to arrival. Please note that a maximum of 1 extra bed is allowed for only some room types. Please kindly refer to the room descriptions for more information. 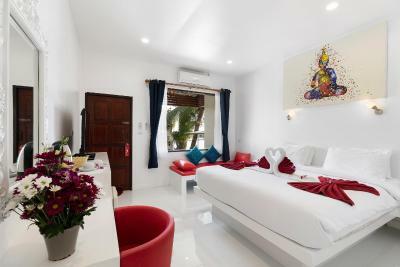 1 crib can be provided free of charge for all rooms except the Economy Double Room. Please inform Crystal Bay Beach Resort of your expected arrival time in advance. You can use the Special Requests box when booking, or contact the property directly using the contact details in your confirmation. The location and view friendly and helpful staff. 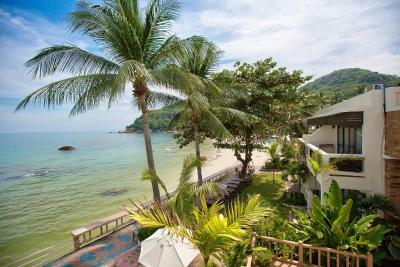 The dinning area around the pool overlooking the sea.. Have a free shuttle service to lamai with VIP mini van for guest. Early check in. The staff in restaurant, need to be more friendly and smile. Maybe the particular staff member did not enjoy their job. Pillows where to thick. Should have one thick one and one thinner to cater for different guests. Very close to main road so a little bit of traffic noise. Very good location for beach access. Awesome view. No chairs or umbrellas on the beach which makes for a hard time when traveling with children. Restaurant was expensive compared to the surrounding area and the food wasn’t that good. Unfortunately the air con unit was close to the outside public toilet so the room was a little smelly. However, the staff were very helpful and happily moved us to a different room which was lovely. No complaints otherwise, the new room was fantastic, think it was simply luck of the draw and a one off! 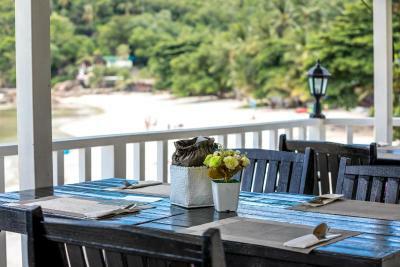 Great location on a beautiful beach, fantastic food and friendly staff. Excellent restaurant with plenty to choose from for all 3 courses of the day! Outside of the hotel, a free shuttle bus is offered into town where there is more of a buzz in the evening. Beach, Staff and yes the location is really good. The room was spotless and the bed incredibly comfortable. The staff were really helpful and friendly and a special mention to Hai who was the loveliest of waiters and made us feel extremely welcome.